Sometimes the best option is the one that has always worked, and if you’re in the market for a simple and easy to use digital camera this is the best place to start. Point and shoot cameras are still the most popular types of digital cameras on the market, but over the years we have seen a trend to other types which have replaced these once prevalent handhelds. Still, the point and shoot cameras offer you the user much more flexibility and features that just aren’t seen in smartphones, mirrorless cameras and many others. Point and Shoot Cameras offer users the best versatility and now that they’re coming equipped with high end features such as waterproof, optical image stabilization, wireless, 40+ megapixels, and much more. 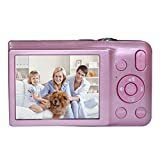 This type of digital cameras offers a much better experience than smartphone cameras and other portable variants which means clearer images, better sharing options, and overall, a much better photographic experience. Below, the following review details the Top 5 Point and Shoot Cameras Under $100 as these bargain beauties are just too good to pass up. Kodak is one of the most trusted names in the business, and over the years they continually introduce the highest quality cameras that always seem to be top-sellers. 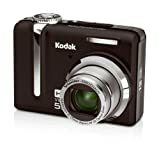 The Kodak PIXPRO is yet another high quality product as this point and shoot digital camera features a friendly zoom which is a 4x optical variant. With 16-megapixels found on board, you’ll be hard-pressed to find another point and shoot which gives you better clarity and zoom options than the PIXPRO. The PIXPRO features a 2.7-inch LCD display which gives you a viewable screen right at your fingertips. Outfitted with a 27mm wide angle lens, HD video recording in 720p resolution, 16MP, 4x optical zoom, and a micro SD Card slot for expandable memory, it proves the PIXPRO is a bargain for well under $100 bucks. Another high quality point and shoot model is the KINGEAR V100 which comes in well below $100. The VR100 is an excellent first camera or ideal for someone looking for better quality than a smartphone camera which boasts 15-megapixels and a 2.7” LCD display. You’ll also get 5x optical zoom, 4x digital zoom, 720p HD recording, and it’s outfitted with a 5.0MP CMOS sensor. The Kingear V100 boasts some pretty good features you don’t typically see in a point and shoot or smartphone including anti-shake stabilization, facial detection, continue Shot Function, and Smile Capture. All this and you’ll still only pay around $65 which is significantly less than you probably thought. KINGEAR serves up another point and shoot digital camera for cheap as the V600 may be cheap in price, but boasts a compliment of features. This full HD video camera allows you to record with a resolution of 1280 x 720 with a 15-megapixel snapper found on board. Viewing your creations on the 2.7” display after you’ve taken full advantage of the 5x optical zoom and 4x digital zoom. The Kingear V600 features expandable storage which is something the V100 lacks as you get slap in an optional 32GB micro SD card for saving more pictures. You’ll also find a 5.0MP CMOS sensor and features such as facial and smile recognition, anti-shake and Continue Shot. The Kodak Eashshare Z1285 is an all in one solution for capturing life’s precious moments and printing them out. This Easyshare is outfitted with a 12.0-megapixel snapper which boasts 5x optical zoom. The 12MP resolution camera allows you to print amazing pictures with great clarity up to 30×40 inches. The 2.5-inch LCD gives you an amazing viewing experience which works well in both indoor and outdoor environments. The Easyshare Z1285 features optical image stabilization which significantly reduces blur and allows you to capture picture and video in low light conditions and fast action sequences. The OIS feature is great for live entertainment such as sporting events and works just as well for still shots such as portraits. For those looking for added storage you can expand what you got with an optional SD/SDHC memory card for saving even more of life’s memories. The Sony DSC-W710 is one of the best-selling point and shoot cameras of all-time and boasts hundreds of all-positive reviews on Amazon. This 16-megapixel camera is highlighted by a 2.7-inch LCD display and is available in pink, silver, and black. Onboard, you’ll find 16.1-megapixels, 5x optical zoom, 720p recording are more than enough to give you impressive still pictures and high quality videos. The DSC-W710 is very affordable and gives you unique features such as Sony’s own Sweep Panorama. Sweep Panorama is a 360-degree viewing and recording mode while giving you picturesque views at high speeds with amazing stitching which puts it all together. Feel free to tell us about your purchase of any of the above point and shoot cameras after you’ve made it or feel free to ask any question in the comment section below.